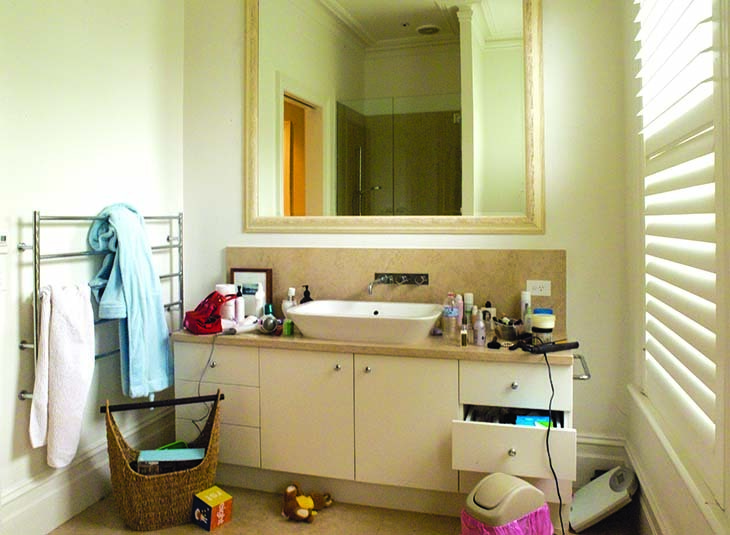 Most bathrooms have limited storage space. Well, limited for the amount of stuff we have! But do you really need it all? Do you need 10 bottles of moisturiser or a half used shampoo you opened 3 years ago? While you ponder those questions l’m going to give you some tips on how to keep that bathroom of yours in check. Plus some before and after pics to get you motivated! Spend 15 minutes every 2nd day over a 2 week period and declutter one drawer or shelf at a time. Assess each item and ask yourself: Do l like it? Do l need it? Is it useful? Is it now out-of-date? Repeat every 3-6 months. A reality check it sometimes a good thing… am l really going to use all those samples l was given? Or that bright orange eyeshadow from 1999? Throw out anything that has expired. Some items will have an expiry date or a month symbol (number and the letter M). This symbol means “period of use after opening”. So if it says 24M (24 months) and it has been open for 25 months, throw it out. Remove anything that should be stored elsewhere. I also suggest storing bathroom supplies in a hallway cupboard, e.g. toilet paper supply, etc. 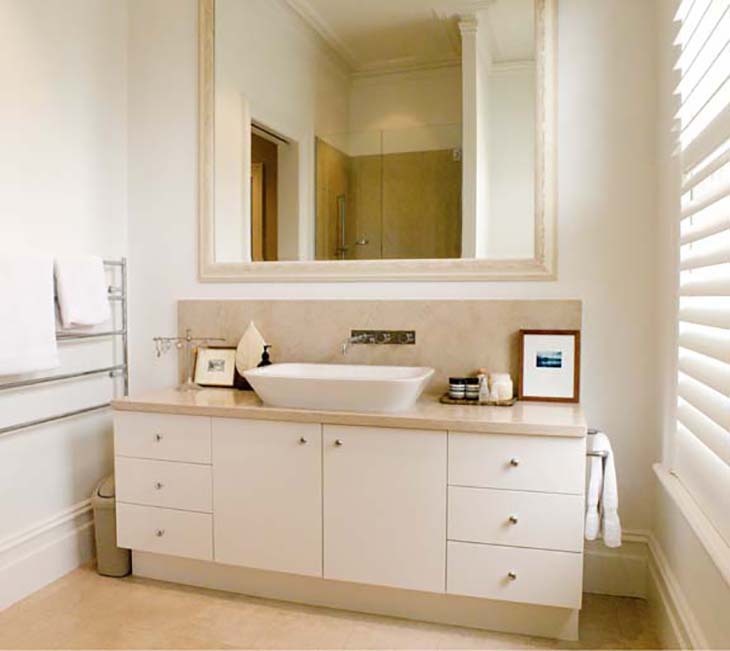 This will give you some more bathroom storage. Keep everyday items together and within reach. Store items you use irregularly in bottom drawers. Label towels with family members’ name, label storage and drawers to help keep organised, label items when opened with the date.